It’s a tricky time of year when it comes to weather. You may need to wear a sweater one day and the next day you’ll be wearing a T-shirt. The day after that you might be wearing a heavy jacket. There are even a few days when you might be changing clothes to fit the climate. 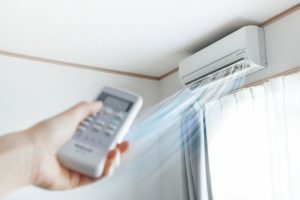 If you’re having trouble deciding what you’re going to wear every day, you can imagine the difficulty you have when deciding whether or not to leave your air conditioner at this time of year. Tragar Home Services are your heating and cooling system experts, and we want to help you navigate the minefield of the changing weather. It’s October, should you still run your air conditioning system? Tragar wants to tell you what to consider. If you have concerns about cooling or heating, and at this time of year, you can have concerns about both, you should talk to Tragar. We do installs, maintenance and repairs on both cooling and heating systems. If you’re a cooling system customer, we can do a yearly maintenance checkup or help you shut down your central air system for the winter. If you’re a heating customer, we can handle your annual start-up and we’ll be there if your boiler breaks in the cold weather. We’ll also work to make sure that your oil will be delivered without interruption. We want things running smoothly and you do too, even in October. So here’s some information about running your air conditioner in October. You might be surprised to learn that your air conditioner runs more efficiently in the fall. According to the website Energy Vanguard, that’s because heat gain coming through your home’s walls, windows, doors, floor, and ceilings will be less when it’s cooler outside. So the warmer outdoor temperatures won’t warm your house up as much. What does that mean for your air conditioner? Your cooling system works to remove heat from inside your home. It can do that faster and more efficiently when it’s cooler outside. (And during those occasional weeks in October when we still reach summer temperatures, you likely will be running your system anyway.) But as your system runs more efficiently, you will lower your energy bills. That doesn’t mean that you should run your cooling system at all times. You’re going to run into trouble in freezing weather. According to the San Francisco Chronicle, when the refrigerant inside your cooling system falls below 32 degrees Fahrenheit, the humidity surrounding the coils freezes and encases in ice. This means your unit will fail to work properly. If your air conditioning system is icing up, it’s a good idea to have Tragar repair it. There are several contributing factors to frozen coils. Clogged or dirty air filters and cooling fans can cause it, as can low refrigerant level. You shouldn’t try to pull ice off of the coils because it can damage your system. Tragar also does checks on your system to make certain it’s running well all year round. To get started, contact us today. Previous Post: « How Should I Get My Heating Ready for Winter?